Cuppa Coffee Cup is a New Zealand-made reusable takeaway coffee cup. 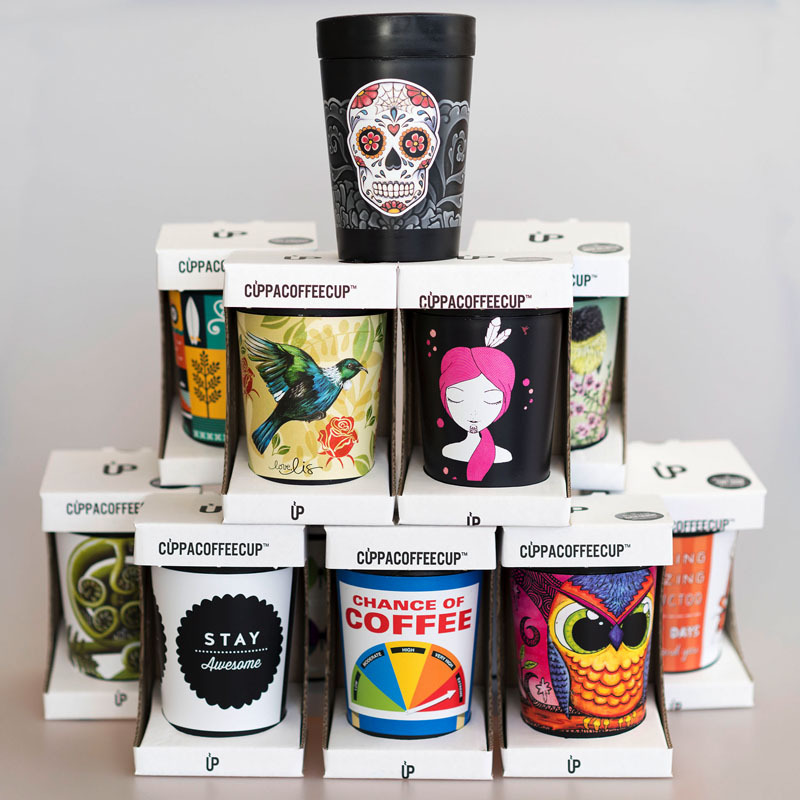 The idea behind Cuppa Coffee Cup was to create a reusable cup that is lightweight, has striking full colour imagery and looks and feels much like a disposable cup. It is estimated that 100-200 million disposable cups are used each year in New Zealand. Many disposable cups cannot be recycled because they are lined with plastic. There is also a significant environmental cost in manufacturing disposable cups. Even compostible disposable cups cannot be composted without the correct facilities. Cuppa Coffee Cups each sport a unique design by a range of leading New Zealand artists, including Greg Straight, Ema Frost, Glenn Jones and Angie Dennis.